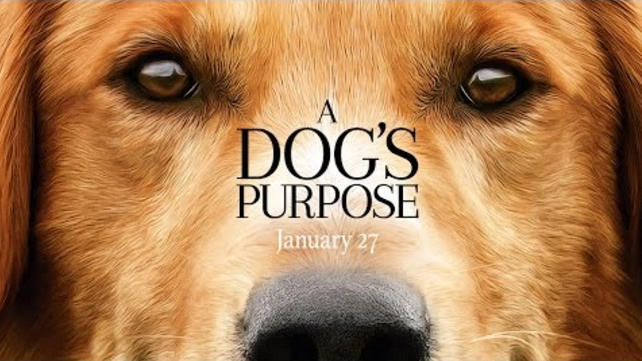 The weekend premiere of “A Dog’s Purpose” has been canceled after allegations of animal cruelty on set, Amblin Entertainment confirmed Thursday night to CBS News. There had been calls to boycott the film, based on a best-selling novel of the same name, after a disturbing video posted on TMZ allegedly showed animal abuse on set. In the exclusive video, an animal trainer is seen allegedly forcing a terrified German shepherd dog into a pool of raging water, while the animal appears to be desperately trying to escape. The weekend premiere and press junket were canceled, but the film is still scheduled for wide release on Jan. 27, according to People and The Hollywood Reporter. I am very disturbed by the video released today from the set of my film A dog's purpose. I did not witness these actions. We were all committed to providing a loving and safe environment for all the animals in the film. I have been promised that a thorough investigation into this situation is underway and that any wrongdoing will be reported and punished. I have been a lifelong animal lover and A DOG’S PURPOSE is my third film about dogs. The animals’ safety was of utmost priority. for both myself and everyone on the set. I have been a lifelong animal lover and A DOG’S PURPOSE is my third film about dogs. We were all committed to providing a loving, respectful and safe environment for all the animals in the film. To all who saw the upsetting clip from the making of a dog's purpose: I DID NOT SEE WHAT HAPPENED BEFORE CAMERAS ROLLED! PETA had been calling for a boycott of the film following the allegations, and the American Humane Society told the Associated Press on Wednesday that they were investigating. Human Society spokesman Mark Stubis told the AP they had suspended its safety representative who worked on the film and they are hiring an independent investigator to explore the matter.